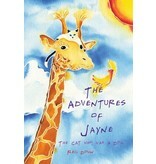 Author: Reg Down Age Range: Gr 1-5 The Cat who was a Dog Jayne is a cat, raised as a dog. Found as a new-born she is brought up with a litter of puppies. Jayne does not turn out to be just any kind of dog, she is the top dog, the main-man dog, the king-of-the-castle dog. She holds her tail up straight when she walks and brooks no nonsense. When they go for a stroll everyone has to stay behind her: her brothers and sisters, her doggy-daddy and doggy-mommy, even the human she keeps as chief backscratcher and can opener. Jayne is a tough cookie—as tough as nails and as cool as cucumbers come—as she proves in (almost) all her adventures: with Big-Bad and Bengal Bob, flying and skydiving, as lifesaver extraordinaire and later as mayor of the great city of New Philawashingyork. 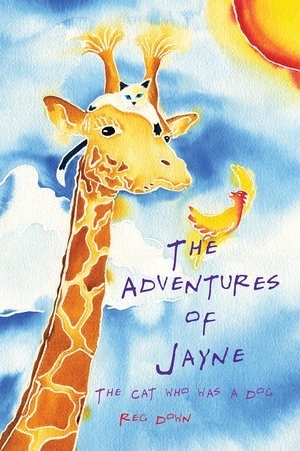 The Adventures of Jayne is a fun tale for family reading or for children to read themselves. Suitable for grade 1 to grade 5. Paperback, 130 pages.